In our catalog, you can find tesaflex® tapes made of plasticised PVC, providing excellent flexibility and great insulating properties, and tesa® webbing tapes made of PET wool. TESA tape support is coated with a modified adhesive based on rubber and resin, which ensures high adhesiveness and resistance to ageing of the tape. These tapes come in a variety of colours, and can be used for decorative purposes or to colour-code wires, cables etc. 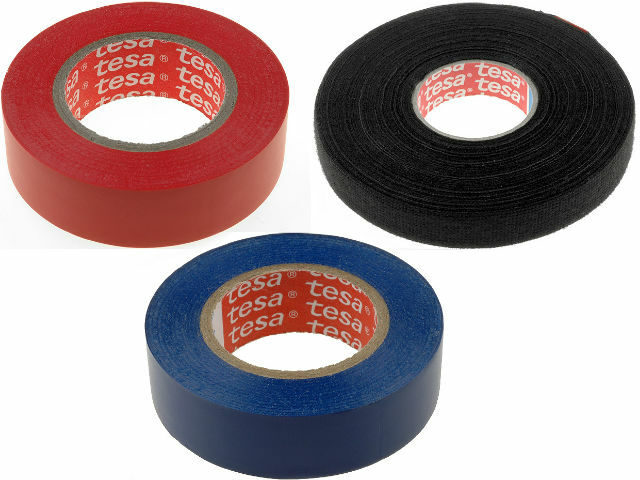 Tesa® and tesaflex® tapes can be used for insulating electrical installations. Moreover, webbing tapes can be used for cable bundling in temperatures up to 125°C.